Shoe clips made by Erica Giuliani. 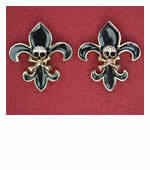 Wonderful shoe clips that will jazz up shoes and bags. 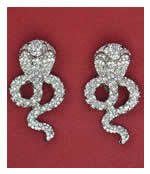 An excellent way to transform daytime shoe to glamorous evening wear or just to glam up your shoes or bags! 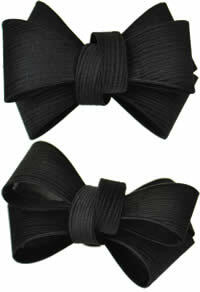 Textured satin looking material with stiffening backing material (to hold the shape) displayed in a bow. Sprung clip on back. 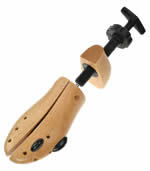 Can be used to accessorise shoes and bags. 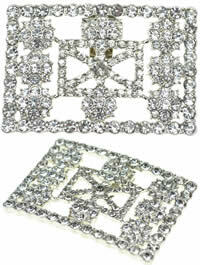 Maximum dimensions: approx 80mm wide, approx 60mm high; depth 34mm. Per pair. 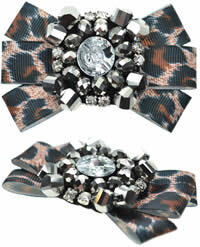 Leopard print ribbon bow, with diamanté and mirrored bead detailing. 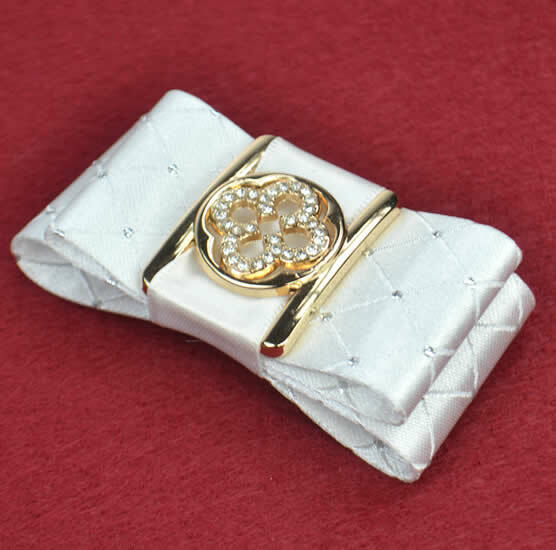 Sprung clip on back. Can be used to accessorise shoes and bags. Maximum dimensions: 78mm wide, 55mm high; depth 15mm. Per pair. 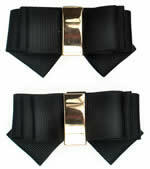 Patent black bow, with gold stud detailing. Sprung clip on back. Can be used to accessorise shoes and bags. Maximum dimensions: 75mm wide, 36mm high; depth 18mm. Per pair. 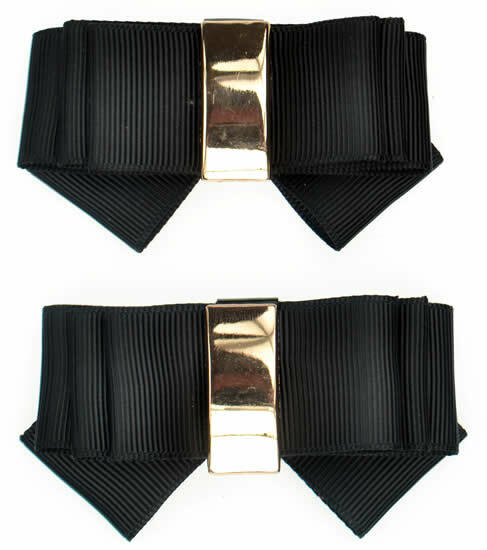 Textured white satin bow, with gold and diamanté detailing. Sprung clip on back. Can be used to accessorise shoes and bags. Maximum dimensions: 77mm wide, 34mm high; depth 26mm. Per pair. Black stone with stones cut in gem stone type cut. 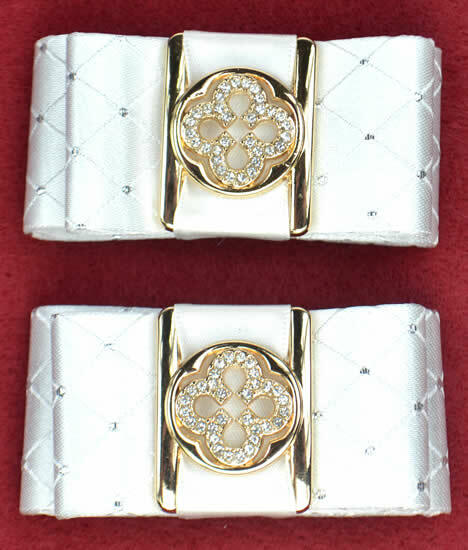 Sprung clip on back. 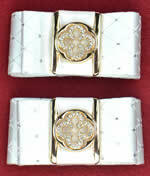 Can be used to accessorise shoes and bags. Maximum dimensions: 65mm wide, 47mm high; depth 13mm. Per pair. 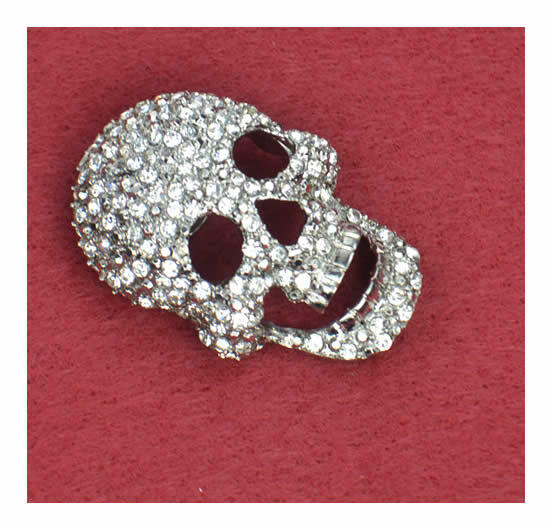 Diamanté and polished metal skull. Sprung clip on back. 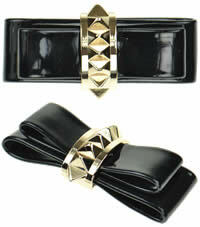 Can be used to accessorise shoes and bags. Maximum dimensions: 32mm wide, 45mm high; depth 10mm. Per pair. 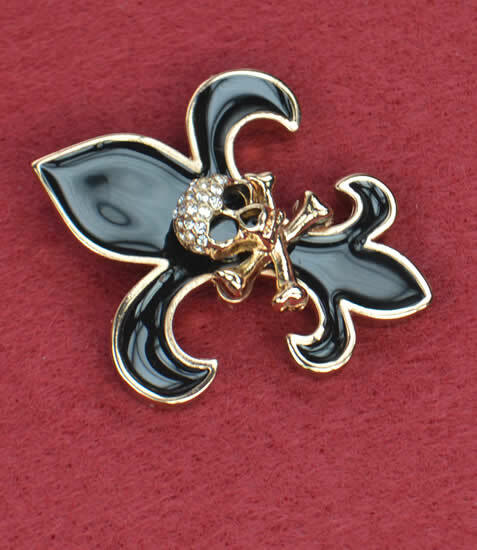 Enamel and gold coloured metal Fleur de Lis with a skull and crossbones with a Diamanté skull. 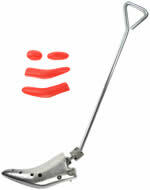 Sprung clip on back. 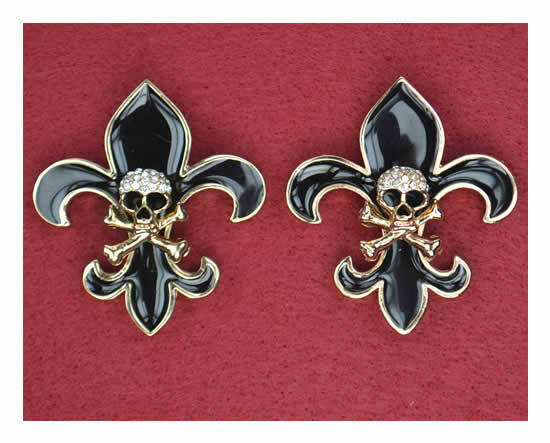 Can be used to accessorise shoes and bags. Maximum dimensions: 42mm wide, 45mm high; depth 10mm. Per pair. 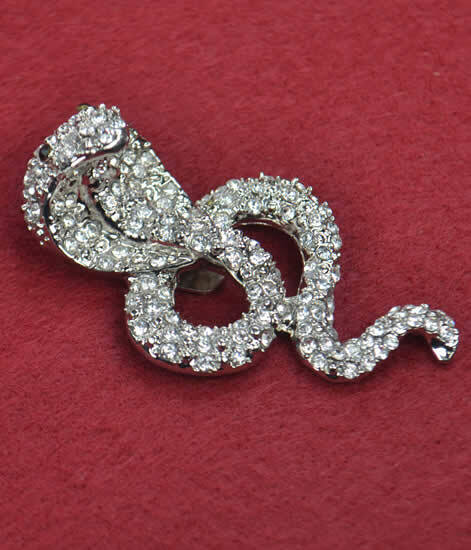 Diamanté and polished metal cobra. 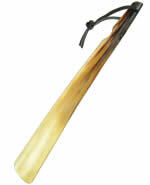 Sprung clip on back. 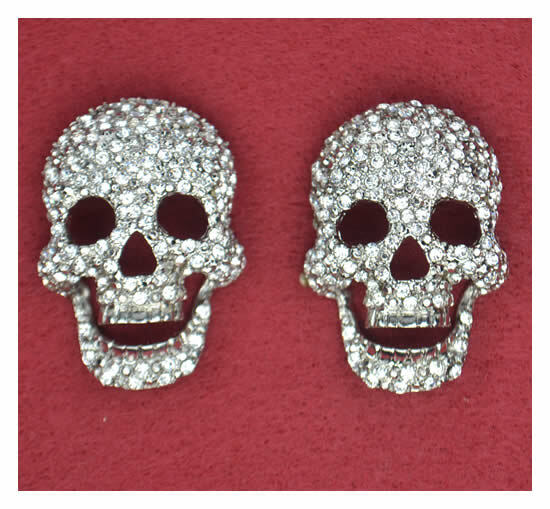 Can be used to accessorise shoes and bags. Maximum dimensions: 36mm wide, 65mm high; depth 18mm. Per pair. Shoe clips made by Shoe Redo. 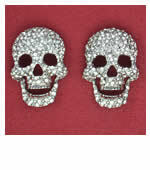 Wonderful shoe clips that will jazz up shoes and bags. 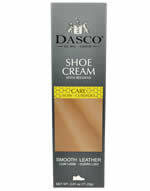 An excellent way to transform daytime shoe to glamorous evening wear or just to glam up your shoes or bags! 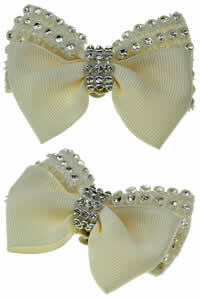 Cream ribbon bow and diamanté with diamanté decoration in middle. Sprung clip on back. 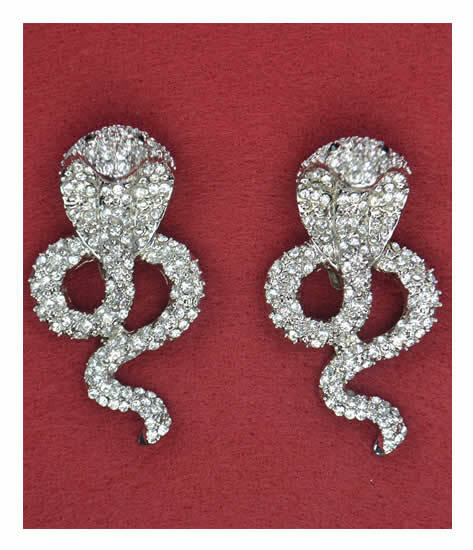 Can be used to accessorise shoes and bags. Maximum dimensions: 65mm wide, 55mm high; depth 15mm. Per pair. 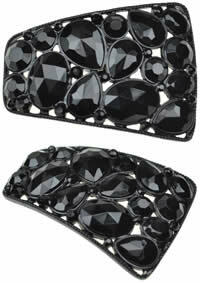 Diamanté buckle shaped shoe clip mounted on polished metal. Sprung clip on back. Can be used to accessorise shoes and bags. Maximum dimensions: 54mm wide, 37mm high; depth 8mm. Per pair. 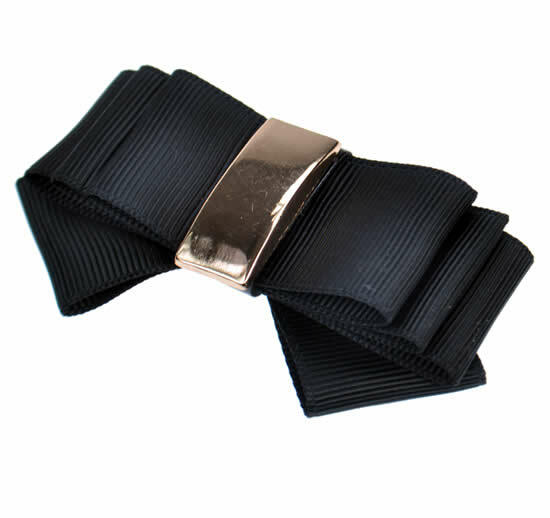 Black ribbon bow, with brass decoration in middle. Sprung clip on back. Can be used to accessorise shoes and bags. Maximum dimensions: 76mm wide, 40mm high; depth 15mm. Per pair. 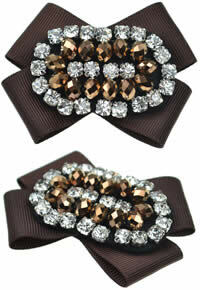 Brown ribbon bow, with diamanté and brown mirrored bead decoration in middle. Sprung clip on back. 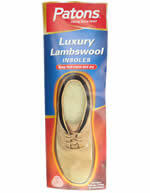 Can be used to accessorise shoes and bags. Maximum dimensions: 67mm wide, 52mm high; depth 15mm. Per pair.